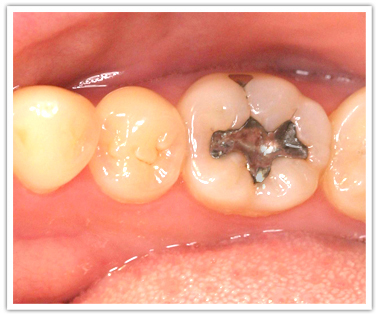 Amalgam fillings have been around far longer than any other type of dental filling. As such, there are several people who are sporting silver, amalgam fillings in their mouth today. Some have had absolutely no problems related to their fillings, while others claim their amalgam fillings are the reason why they are now suffering from serious problems and disease. Amalgam fillings are considered dangerous because of their mercury content. They consist of roughly over 50% mercury. Mercury is considered a highly toxic chemical that can cause serious neurological damage. When metal mercury is implanted into the mouth to prevent tooth decay from spreading, it releases its vapors into your mouth that you inhale. The inhaled mercury content is then released into the bloodstream. It’s a very microscopic amount, but biological dentists believe that over time this builds and causes changes that negatively impact the body. On the other hand, the FDA have allowed the use of amalgam fillings in the mouth because they are not convinced by the current evidence that the mercury vapors inhaled from your amalgam fillings cause any significant harm. They do acknowledge that mercury vapors are released, however they do not acknowledge any damage as a result. This is where the controversy lies: biological dentists show concern for both the environment and their patients by warning them of amalgam filling dangers while non-biological dentists see no issue suggesting amalgam fillings to patients who cannot afford alternatives. You have to ask yourself: is it worth the risk? By leaving mercury fillings in the mouth, you are effectively taking a chance at the possibility of developing ailments as you become older. It’s difficult to pinpoint mercury fillings as the cause, but we believe in the philosophy of it’s better to be safe than sorry. Dr. Steve Ngo, Image Dental OC’s dentist, happens to be a biological dentist in support of avoiding amalgam fillings. We offer safe amalgam removal at our Newport Beach dental office. We replace all amalgam fillings with more biocompatible materials such as composite fillings.